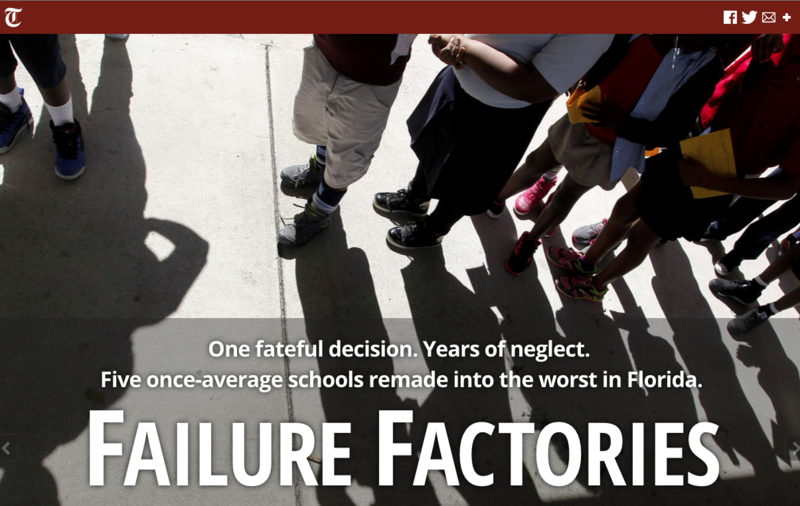 On Sunday, the Tampa Bay Times published an outstanding piece of investigative journalism exploring why five South Pinellas schools have become "Failure Factories." If you are like me, it will outrage you that people saw this coming but basically did nothing about it. It's also heartbreaking to read the stories of the parents and the children who are mired in this mess. One of the schools is Melrose Elementary. I know it well because I had volunteered to help teach kindergartners reading skills. To say that the school was chaotic would be an understatement. We would meet with our precious little students in the hallways to play reading games, but inevitably we would be disrupted by students constantly moving about, some of them yelling and slamming doors. I loved that we were trying to make a difference. I hated that we didn't have the resources to help even more. I commend it to you for reading now because as many people know, schools can play a big part in where people live. And they are also a key indicator of a vibrant, thriving community. When we have five of the worst schools in Florida, what does that say about this area? About our elected representatives? About all of us collectively?